Indian Prime Minister went on to yet another foreign tour, this time to China. Strangely, called ‘informal meeting’. The government sources and the even more ‘official’ media both termed this as a historic, bold and unprecedented. Something that they have been doing assiduously to all such trips undertaken by the Prime Minister, that both literally and figuratively have been in all the four corners of the world. Without going into detail it would be interesting to understand what went into this meeting and what could be desired outcome from it. Mr. Prime Minister the wordsmith that he is, went on to give another dazzling shot of Modi brand diplomacy. A tactics that has come to be symbolised in GenX gestures like hugging, terming other as brother, friend or even as close pals (remember Modi and Barak Obama press conference). 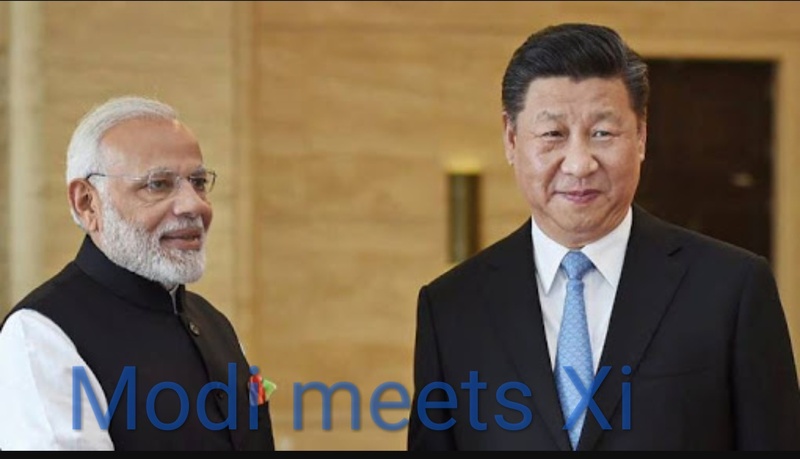 Prime Minister ‘s tendency to revel in symbolisms like Xi coming to meet and greet him mid way in Wuhan instead of Beijing itself shows the weakness of Indian diplomacy. Something that China is exploiting to the hilt. So in Wuhan Mr Modi in his inimitable style emphasized the global leadership role the “two major powers” India and China could play. He further proposed, a five point agenda for bilateral ties – common vision, better communication, strong relationship, shared thought process and a shared resolve. Now giving a closer look to the five.point agenda one is forced to rethink about similar 5 points that world came to know as the Panchsheel program and its subsequent fate in history. PM Modi’s newest Panchsheel talks about many but concretises on nothing. While it is high on dreams but falls far short in reality. The entire meeting was has been high on rhetorics. While the reality is that China in the past and until now has been using such meetings to just gain time. India has been stagnating in the geopolitical scenario, and is loosing in its traditional stronghold of South Asia. Where as China has made massive inroads in this region. China for the first time has a permanent base in Indian Ocean based in Djibouti, while Indian attempt to have similar base in Seychelles has still not started and is also meeting stiff resistance. Maldives for all practical purpose has gone to Chinese camp; to such an extent that it has even returned the Dhruv Advanced Light Helicopter, that New Delhi had gifted. Maldives has asked India to take back one of two naval helicopters. Maldives has allowed China to make strategic inroads, China has been given all that Beijing wants in this strategic island from airport to setting up of naval base according to unconfirmed report. In next door neighbour Srilanka, China has been handed over an entire airport thus making Colombo amodern equivalent of Imperial China who was forced to part away Hong Kong and other areas to various imperialist European powers. On Pakistan China has firmly rejected Indian stance of Islamabad being net exporter of terrorism, as well as terming Afzal Guru as terrorist. While on the other it has successfully persuaded New Delhi to limit its official endorsement to Tibetan Government-in-exile. On OBOR and CPEC the PM has resisted from taking any stand, China has also been seeing to completely ignore India in its mega economic initiative. It has still not said anything on its opposition to India becoming member of Nuclear Suppliers Group and has also given no inclination on its change of stance. As world politics moves towards Asia, China is keen to nudge any competition and also is taking concrete steps towards fulfilling what has come to be known as Socialism with Chinese characteristics a euphemism for Chinese imperialism that is achieved via unrepayable debt followed by coercion. While Beijing till date is seen to be playing its card according to the plan, on the other hand India is completely clueless on how to move ahead and is living in a fantasy of self aggrandisement. When Xi Jin Ping asked India to promote Bollywood films, did he had state of Indian diplomacy in mind.